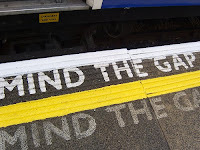 Many traders treat gaps as serious indicators. At Alert HQ we are now bringing gaps into our technical analysis. Here's how. In an effort to further reduce false signals in our Swing Trading Signals, we now take gaps into account. We avoid declaring a BUY signal if the stock has had a gap down within the last two weeks unless the gap has been closed. For SELL signals, the processing is the converse. In all cases, the most recent incident within the last five trading days is logged. Now at Alert HQ we are providing a page specially devoted to the gap screen, the TradeRadar Gap Analysis Signals page. This feature is so new it is not yet accessible from the TradeRadar menu. The bears have an edge over the bulls in this list but, given the fact we have had three straight down days in the market, that is no surprise. What is surprising is that there are so many bullish signals despite the declining market. Low volume stocks, especially those that are low priced, seem to be prone to gaps of more than 3% without exceeding their volatility envelope. Our Gap Analysis Signals page will be another good source of ideas for your short to intermediate-term trading. As always, it is free. I expect to get the page integrated into the TradeRadar Alert HQ menu soon but until then, you can use this post to access the page. Feedback is welcome. Check out our new Gap Analysis Signals page and leave a comment to let us know what you think of it.